Federal Board Islamabad was established in 1975, it's official building is situated at H-8/4 Islamabad, there are total 443 employees working in it and Riaz Hussain Peerzada is the current chairman of the Board. The present jurisdictions of Fbise includes Islamabad Capital Territory, Federally Administered Northern Areas, Overseas Institutions affiliated with FBISE and All over Pakistan (Cantonments, Garrisons and Air bases). It is controlled by Ministry of Education Pakistan. It's mission is to play a vital role in the achievement of national aims and objectives of teaching at the intermediate and secondary school levels within the Pakistan and abroad, through crystal clear and efficient examination system, under the control of Federal Ministry of Education. Note : FBISE telephone exchange remains operational from 8:00 AM to 6:00 PM. Call us at any given number and we will feel proud in assisting you. 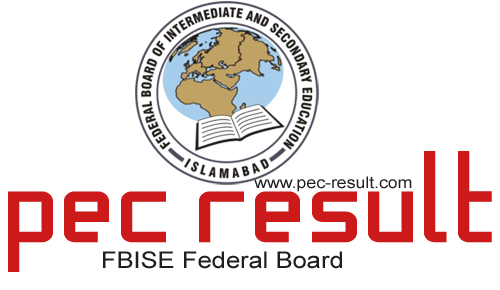 We have created this page especially for the students of Federal Board Islamabad, stay in touch with us to receive all the important news updates on SSc and HSSc examinations conducted by board this year. We wish best of luck to all the students who are waiting for their result 2014.